Author Henry S. F. Cooper Jr. has written a book about Apollo Thirteen, «The Apollo Flight That Failed». A space vehicle with three astronauts on board is destined for the Moon. On it's way an oxygen tank explodes, ripping a great part of the side of the service module away. Severely diminishing the astronauts capability to return back to Earth alive. Ground control launches an unprecedented emergency plan, feverishly knitting together step-by-step help and succeeds in bringing back the crew. NASA flight director Gene Kranz does a remarkable job, underlining that «failure is not an option». 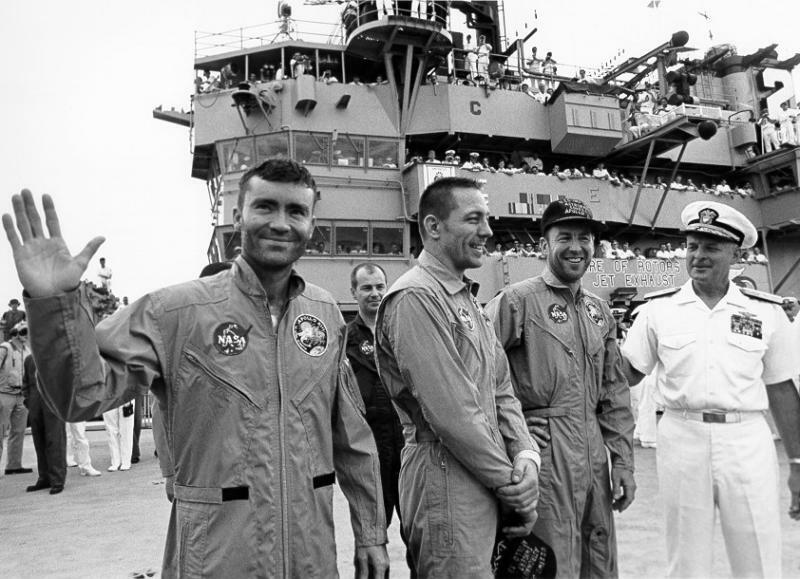 Kranz was the leader of the "white team", a shift at mission control that contributed to saving the Apollo 13 astronauts. 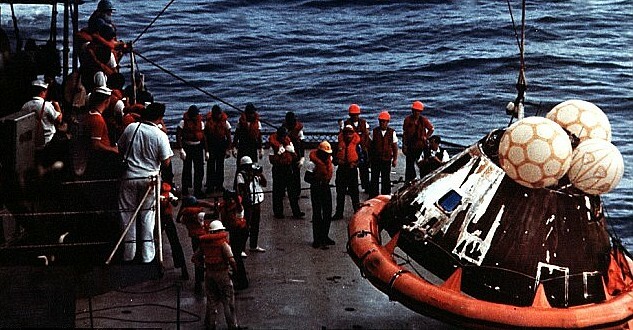 Though Apollo 13 did not achieve its main objective, to Kranz its astronauts' rescue is an example of the "human factor" born out of the 1960s space race. According to Kranz, this factor is what is largely responsible for helping put America on the Moon in only a decade. 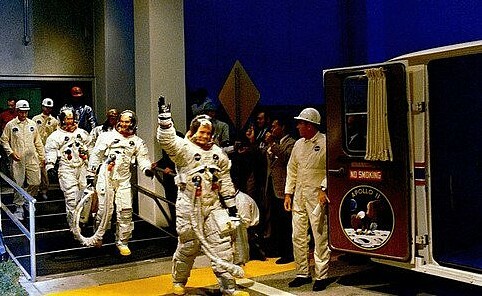 The blend of young intelligent minds working day in and day out by sheer willpower yielded "the right stuff." Gene Kranz had this to say about the "human factor": "They were people who were energized by a mission. 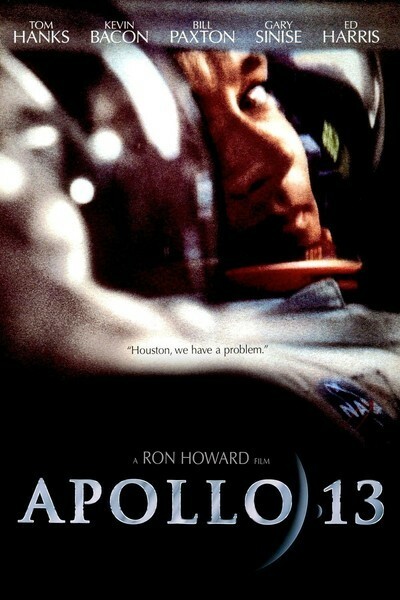 And these teams were capable of moving right on and doing anything America asked them to do in space." Mr. Cooper brings this chilling story to life in a breathtaking, and trustworthy manner. Before writing this review, I went through much of the documented material that exists on Apollo Thirteen. Including films taken from one of the three helicopters assisting the tree man capsule after re-entry and landing in the Pacific Ocean. One helicopter positions itself directly over the capsule, a diver opens the hatch. An astronaut is helped out. Not a word is spoken. 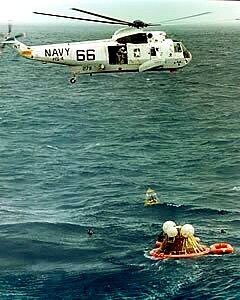 Next an astronaut is seen sitting inside a net, crumbled like a little bird in a cage, as they are hoisted away one-by-one under the helicopter to the waiting Carrier USS Hornet. I felt sorry for this guy, and for the entire Space program balancing on a knife's edge between survival or destruction. The Human Race should have pooled it's resources to lift Mankind to the Stars, it's new home. Instead, I see a totally exhausted crew, on the verge of collapse, barely making it back to earth in one of the most astounding emergency operations performed by human beings. 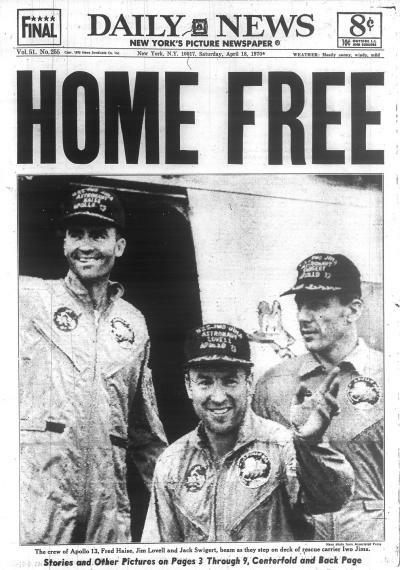 Unfortunately for Apollo 13, the tank functioned normally for the first 56 hours of the mission, when the heaters and the fans were energized during routine operations. At that point an arc from a short circuit probably ignited the Teflon, and the rapid pressure rise that followed either ruptured the tank or damaged the conduit carrying wiring into the tank, expelling high-pressure oxygen. 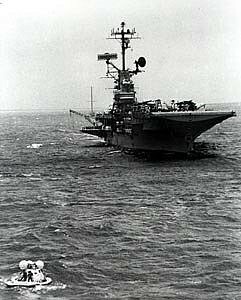 The board could not determine exactly how the tank failed or whether additional combustion occurred outside the tank, but the pressure increase blew off the panel covering that sector of the service module and damaged the directional antenna, causing the interruption of telemetry observed in Houston. It also evidently damaged the oxygen distribution system, or the other oxygen tank, as well, leading to the loss of all oxygen supplies and aborting the mission. 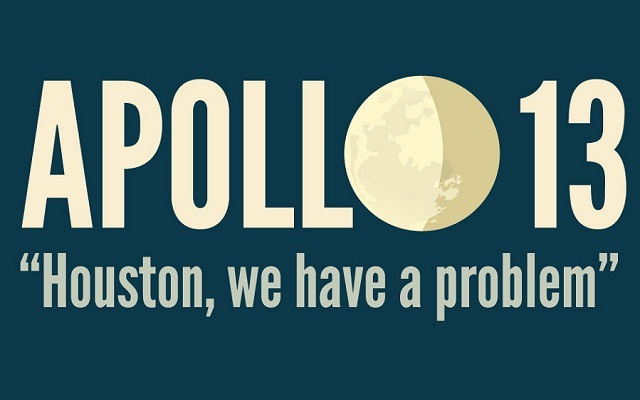 The board pointed out that although the circumstances of the tank failure were highly unusual and that the system had worked flawlessly on six successful missions, Apollo 13 was a failure whose causes had to be eliminated as completely as possible. It recommended that the oxygen tanks be modified to remove all combustible material from contact with oxygen and that all test procedures be thoroughly reviewed for adequacy. 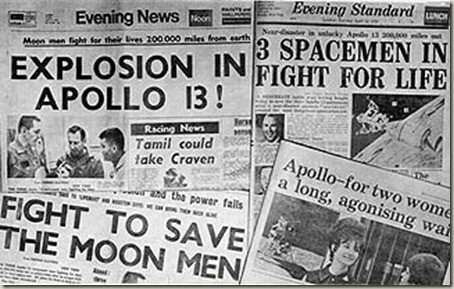 Compared to the AS-204 fire in 1967, Apollo 13 was only a frightening near-miss, and because its cause was localized and comparatively easy to discover, it had fewer adverse effects on the program. 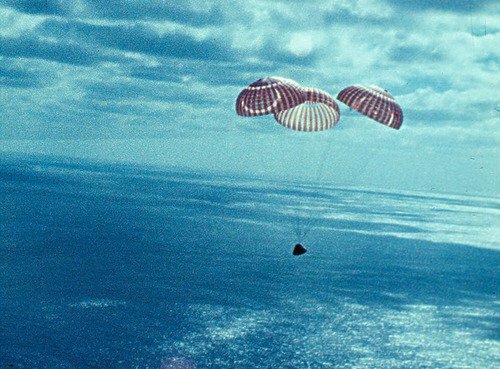 Only the skill and dedication of hundreds of members of the often-celebrated "manned space flight team" saved it, however, and the accident served to remind NASA and the public that human flight in space, no matter how commonplace it seemed to the casual observer, was not a routine operation. In 1989 I traveled around to many of Europe's Space related industrial companies that are part of the Ariane launcher project as background for a TV presentation, "The Future of Europe In Space" that I made from scratch. Some of the companies I met with were British Aerospace, Swiss Contraves, German Messerschmidt Bølkow Blohm, MBB. The same year the company was bought by Daimler-Benz Aerospace AG, now part of EADS. I visited the Headquarters for the Ariane project and the European Space Agency (ESA) in Paris, and the Centre National d'etudes spatiales (CNES) also in Paris. I mention this because Author Henry S. F. Cooper Jr. did exactly the same when preparing his background material for his books; I don't know if he visited the European space centers, but he made some remarkable trips to the Soviet Union and explored their space activities there. In other words, the book is based on an impressive amount of solid background information, it's not just «another space story» whipped together from various 2nd and 3rd hand sources.